Yu Darvish will start as L.A. looks for its seventh World Series title, the first since 1988. DODGER STADIUM.–Kenta Maeda seemed to be doing his best to remain stoic, but the excitement of the moment would not be denied. The Dodger starting pitcher who has shown his exceptional value as a reliever in the postseason was surrounded by a throng of Japanese journalists in the Dodgers’ clubhouse on Tuesday, after L.A. defeated the Houston Astros, 3-1, in Game 6 of the 2017 World Series. The victory set up a winner-take-all Game 7 tonight at Dodger Stadium. 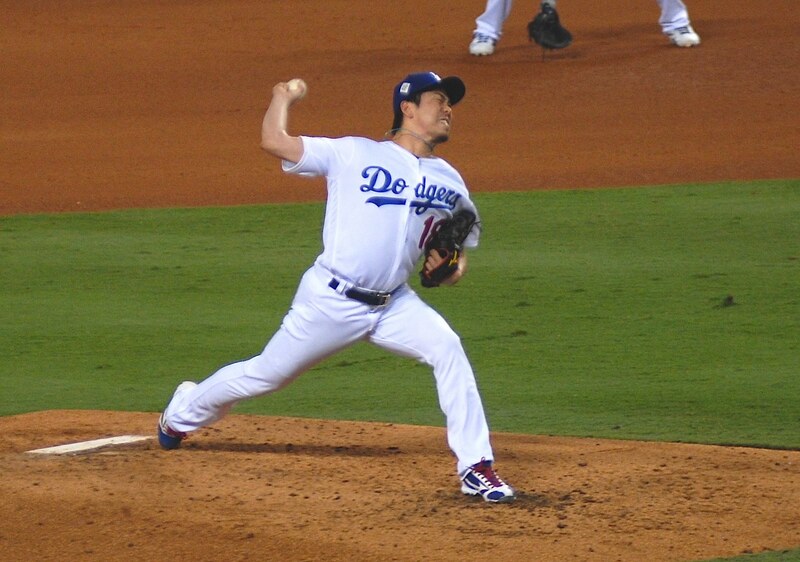 Maeda game entered Tuesday’s game in the seventh inning, to preserve the Dodgers’ 2-1 lead over the Astros. With two out and two runners on base, Maeda got American League batting champion Jose Altuve to ground out to third base, ending the scoring threat. Dodger manager Dave Roberts said Maeda more than made up for his outing in Game 5, when the reliever allowed a three-run homer to Altuve. Since opening in 1962, Dodger Stadium has never hosted a deciding Game 7. The Dodgers last played a Game 7 in the 1965 World Series, when they defeated the Twins in Minnesota to win their fourth championship. The excitement of tonight’s game wasn’t lost at all on Dodger manager Dave Roberts, who has never been a part of a Game 7. “So this is when you’re a young kid, kind of trying to play through all the heroes and and talking about a Game 7 in the World Series, and here we are,” he said after Tuesday’s victory. On his way into the press conference Tuesday, a voice came barking at Roberts from the corridor, from none other than former manager Tommy Lasorda, who guided the Dodgers to their last championship in 1988. “You haven’t done [manure]until you win Game 7,” Lasorda shouted, to a chorus a laughter. The Dodgers will start Yu Darvish in Game 7 tonight, a fitting situation, given the team traded for him to help deliver a championship. It will be the right-hander’s fourth start of the 2017 Postseason and the sixth of his career. The Dodgers are hoping for a reversal of his Game 3 start in Houston, when he was shelled for four runs and didn’t make it out of the second inning in the 5-3 loss. Before Tuesday’s game, he was guardedly optimistic about his return to form for a Game 7. “I don’t know if the reason for my poor sliders (in Game 3) had to do with my physical condition or the slicker balls, but I hope it’ll turn out differently next time,” Darvish said. After Game 6, Darvish was hustled out of the stadium without taking any questions from the media. Darvish is 5-5 with a 3.44 earned run average in 14 career regular season starts against the Astros and went 1-1 with a 3.00 ERA in two starts against Houston this season. IN his career, he has struck out 118 Astros’ batters against just 30 walks and has held hitters to a .199 average. Follow The Rafu as we provide streaming updates from the stadium tonight, on Facebook and Twitter.